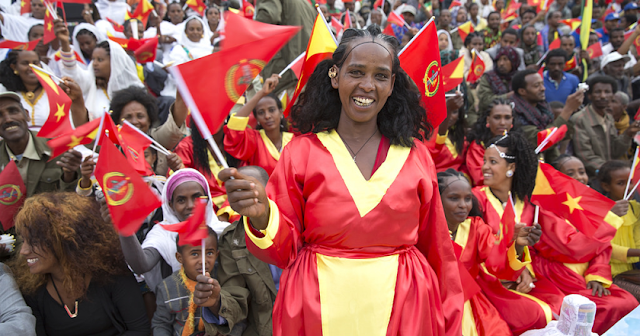 Why Ethiopia's Ethno-Nationalists Will Always Remain Relevant and What Should Be Done About It? 1960s was one of the most consequential political periods in Ethiopia’s history. This period showed the emergence of a generation of politically conscious educated class, who despite their privilege vis-à-vis the populace, asserted that cultural, political as well as economic realities of the state had to be addressed. The national question, which would become a popular issue of contention, given the debates raised by some famous tracts from then influential student writers, brought to light the diverging interests between that era’s ruling elite and the demanding educated class composed of many individuals of diverse ethnic backgrounds. These crop of Ethiopia’s educated class would eventually organize themselves either in ideological pan-nationalist lines or took on themselves the idea of voicing ethnic grievances through clandestine mobilization efforts that targeted the formation of ethno-nationalist rebel movements. When put succinctly, throughout the Sixties and early Seventies, two sets of political movements had emerged in the country. 1) Pan-Ethiopian nationalist movements emerged as inclusive political organizations (EPRP). 2) The rebellions with ethnic grievances as their agenda, that mostly emerged from Tigrigna speaking highlands (TPLF and EPLF) as well as the Oromo Liberation Front however, arose as rebel organizations that are exclusive to their ethnic groups’ interests and their ethnocentric views. Today, looking at the history of ethno-nationalist movements in Ethiopia’s contemporary history shows that despite some political actors affiliated with such movements have come to evolve in their views of what the Ethiopian state should be (note: few leaders of OLF), it is crucial to reminisce that their political platforms remain embedded within their old ethnocentric agenda. The last four to five decades of history of ethno-nationalist movements in the country in fact shows that transforming the views of such organizations’ leadership and their die-hard supporters will be the most difficult endeavor. However, it is also important to note that such ethno-nationalists do comprehend the current realities of the country’s demographic make-up and extremely mixed patterns of settlements, which could deter them from realizing their narrow-nationalistic ethnic interests. Moreover, it is also my belief that most ethno-nationalists understand that ethnic grievances that they are dedicated to address will not be solved without a democratic framework in place. Indeed, such groups understand that the profound focus on their particular ethnic grievances could also unsettle the pan-nationalists, who I believe are the vast majority given this group includes the Amhara, most of the Southern ethnic groups and the urbanites. Furthermore, it is also very imperative to point that the fact that one of the largest groups in the country, the Amhara, still remain categorized as pan-nationalists, is understood as a deterrence by those same ethno-nationalists. As it is evident, some individual actors and political groups (most in the diaspora) within the Amhara have failed to emerge as representative of their ethnic groups’ interests mainly because the vast majority of the Amhara did not buy into ethnic politics at all. This of course, creates a difficult conundrum for the ethno-nationalists who long to see the Amhara follow their path to narrow ethnic nationalism, which in its absence would challenge the realization of dreams’ of narrow nationalists. Altogether, ethno-nationalists understand such critical realities of the Ethiopian state and the challenges that make it less conducive to ethnic nationalism to flourish; however, we see that those political groups and individual actors still remain unyieldingly fixated on their ethnic agenda. The question now becomes whether it would be possible for such ethno-nationalists to somehow change at some point? My answer to such a question is simple; “they would not”. Why? Because, the organizational nature of ethno-nationalist political movements causes ‘change’ to be an extremely slow process. The political culture that such groups identify with also resists the idea of change. Hence, unfortunately, we should not be surprised to witness such groups continue to remain ardent ethno-nationalists. Political groups and key political actors representing the Oromo as well as the Tigrayan political organizations, that we have come to experience throughout these tumultuous historical periods in the last few decades, all manifest that the way the ethno-nationalists view the future of the Ethiopian state is only via what their ethnic lenses reflect. Those groups I mentioned and many others that had followed their footsteps in organizing along ethnic lines, have also emerged to even cultivate radical solutions in their discussion of what the future of the country holds. Let’s see one prime example. Most of such groups, for instance, concur with the notion of continuing the failed institutional solution of ethnic federalism as the most viable political arrangement for the Ethiopian state, even at the event that the authoritarian regime in the country would be replaced through a democratic transition. Today, some of the ethno-nationalists at home and abroad believe that the current problem in the country is that the party centralism is making the federal arrangement look like a unitary one. They also mention that if it was not the oppressive nature of the TPLF-EPRDF, the federal structure would have worked for the better. Of course, the regional state leaders are either controlled from the center in Addis Ababa or from Mekelle. And that might influence their complaints of party centralism. Those ethno-nationalists in the opposition are also seen struggling to explain the problems of the current federal arrangement. This is ludicrous to say the least. For Ethiopians of all ethnic backgrounds, such federal arrangement was the most painfully divisive experience that they have ever faced and endured. The vast majority of Ethiopians are tired of living in ethnic boxes. Thus, I argue that whatever form of genuinely caring and democratic political elites assume political leadership at Menelik II palace, as long as this form of ethnic federal arrangement is in place, more of the same would be the new reality. Here, let’s for once imagine the prospect of remaking the post-TPLF/EPRDF reality of the Ethiopian state, with the re-institutionalization of the country in the ideals of Ethnic federalism. The answer would be, the country’s future will not be different from our experiences from the last twenty-six years and counting. Well, such a federal arrangement, which many argue not only failed the country, but instead served as a platform for authoritarian survival in the last two and half decades, have in fact achieved nothing but created winners and losers. Such an arrangement simply did not also pass its elongated period of experimentation that lasted 26 years. The undisputed reality is that even the new generation of youth who were newborns at the advent of the post-1991 Ethiopia have come to repudiate the divisiveness and false promises of ethnic federalism. Most of the ethnic questions that we have come to learn and that were centered on political and economic grievances of the diverse groups should have also been history if the ethnic federal solution was to work. To the contrary, the gap in political and economic equality among the diverse citizenry have worsened. The notion that ethnic federal arrangement could solve possible ethnic tensions and emergence of ethnic conflict has also failed as that would be evident via the series of evictions of ethnic groups (mostly Amharas, and now Oromos) from their historic lands and habitats as perpetrated by some federal and regional political elites. Sadly, such elites who have accepted ethnic hatred as a way to assert their political legitimacy and survival, still proudly present the ethnic arrangement as a way forward. The political violence that has come to emerge as the new reality across regional state borders within today’s Ethnic Federal arrangement also attests to the fact that such form of ethnic arrangement as a viable solution for the nation of over eighty ethnic groups will never be an option. Such reality, as alarming as it is however, invites us to question what the solutions need to be. And the question of how to address the ethno-nationalists’ concerns in a meaningful way therefore need to remain an important topic of discussion given the groups’ stubborn inclination towards maintaining such a failed arrangement as a critical alternative on the negotiation table among many others we can list. Here, let’s also keep in mind the international realities that are creating enormous political storms in Europe (Catalonia in Spain) and the Middle East (The Kurds’ struggle for their own state). Such realities indeed show that despite the age of globalization creating a one village like global reality, ethnic questions and ethno-nationalist movements still remain relevant points of contention across many states. That is why I call for the diverse political groups, individual actors, intellectuals and political activists to come to realize that the future of the Ethiopian state would only be solved via continued negotiations and compromises. As Christopher Clapahm (2009) stated, “The deeper problem facing Ethiopia is that it is now too complex and diverse a society to be managed without the extremely adept deployment of the political skills - of discussion, bargaining, compromise and simultaneous recognition of alternative sources of authority - that are needed to create some kind of workable synthesis of the different elements of which it is composed”. Indeed, the future of the Ethiopian state must require some level of compromises that at the end would lead to an emergence of a strong and united country that is very much representative of the multi-ethnic and multi-cultural interest that remain rooted within the ethno-nationalists’ concerns. The persistent nature of patterns of elite interaction within the old Ethiopian state as well as the current ethnocentric politics could also remain a problem even after a desired democratic transition takes place. However, I am confident that by incorporating democratic values to political party platforms with genuine intent, by employing tactics of political reconciliation through give and takes, chances that such political actors can play a role in reviving the democratic fortunes of the state could be higher moving forward. As such, the ethno-nationalist groups must be considered an integral actor in this negotiation process occupying the place they deserve on the reconciliation and compromises table. One particular issue that explains the problem of lack of understanding among the elites when it comes to the future of the country is also this notion of ‘we have to agree on everything’. Given that could be a tougher challenge in negotiations, the elites must also come to an understanding that most of the difficult issues that divide public opinion need to be left for the citizenry to decide. Periodic elections, besides their service in determining who assumes particular political positions across different levels of government offices, must also be considered as a platform for the people to vote on series of important issues that remain challenging problems for both ethno-nationalists and Pan-Ethiopian advocates to reach certain levels of agreements. The issue of national language, national flag, the need for a forward looking national reconciliation process as a viable transitional justice process, the nature of government structure (what form of federalism or system of government), and even the type of electoral system in our democratic future should be left for the people to decide. Yohannes Gedamu teaches Political Science at Georgia Gwinnett College and you can email your comments or questions to him at: yohanethio@gmail.com. Gedamu, Yohannes (2017). Ethnic Federalism and Authoritarian Survival. Georgia State University, Atlanta Georgia (Not publicly available yet). Clapham, Christopher. "Post-war Ethiopia: the trajectories of crisis." Review of African Political Economy 36, no. 120 (2009): 181-192. (Look at page 191 for the quote).